World of Warcraft got a much needed injection of fresh material when Mists of Pandaria came out late last year. It was the first major expansion for the MMO since Cataclysm in 2010. Since then, two content updates have shipped for the expansion, lengthening playtime and adding new content for its players. 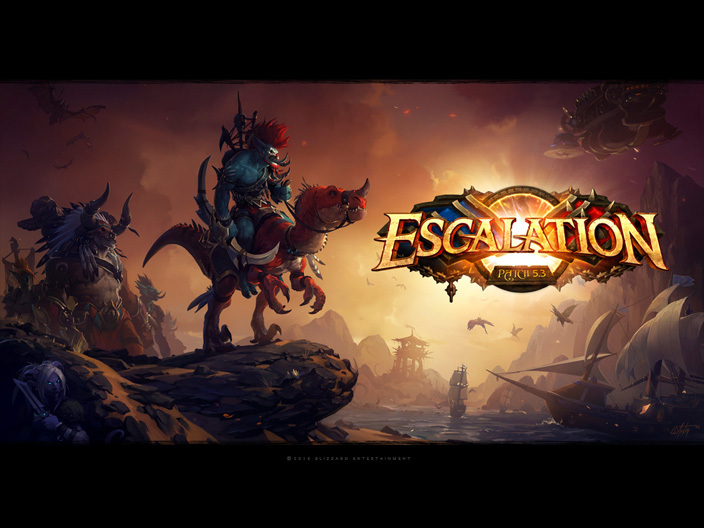 Just a few days back, Escalation, the third update for the panda-touting expansion, was released and it adds a number of new features to the game. On the PvP side, new arenas and battlegrounds have been made available alongside a few new tweaks to the PvP system. The Brawler Guild comes with a few new bosses. An entirely new world event has been made available for players in the form of Battlefield: Barrens. Perhaps the biggest addition is the introduction of an entirely new difficulty system in "Heroic Mode" for the various scenarios found throughout the game. It keeps the game exciting for the level capped players who are looking for some bigger challenges. To read the full details of the new update, head over to Blizzard's blog. Otherwise, hop right into Azeroth and continue your journeys.